How to find Low Doc Business Loans in Australia? Being self-employed can be a struggle because the challenges faced in reality are always unexpected and out of control sometimes. The major problem of being self-employed is the difficulty in getting low doc business loans when it is required. 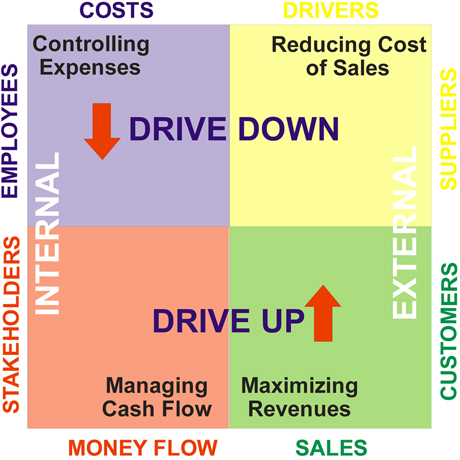 Cash is the main model of a business for ordering and delivering goods as well as maintaining the business all the time. It need to be maintained whether its from you own saving or by other sources. Credit score on the credit report is one of the main considerations of lenders to determine the trustworthiness of the borrowers. If you have a bad credit, then you will be considered a high risk in repaying the installments. The lenders always require physical property or vehicle to secure their business if in case customers fail to pay the loans. If you need the loan amount that is exceeding the value of collaterals, most of the time the lender will reject your application. The lenders approve the business loan according to the cash flow of the business as well. It is used to determine whether you are capable of repaying the instalments monthly when your business is not profitable or not. If you are new to a particular industry, you need to prepare the documentations such as written business plans, financial statements etc. in advance to improve the chance for getting a business loan. If your company has accumulated a large debt from other loans when just started the business, the lender will worry you unable to repay the loan for both in future. Therefore, they will deny your application. Several documents are required for full doc business loan such as written business plans, tax returns, bank account statements, financial statements and credit reports. If you fail to provide all these documents for the application, they are unable to determine the credibility of your business. Thus, the loan application can be rejected. Low doc business loans can get up to $3 million, so if you’re in need of $50,000 or more, this type of loan is up for the challenge. But beware of the possibility of a slightly larger interest rate, potential costs and extra fees that might occur with this type of loan. Low or No doc business loans are the perfect solution because they’ll save your company when nobody else will! If a credit score report is generated on different dates, it could be different from another which was generated before or after. The score changes every time and even a few hours could make a major difference. To get accurate scores that can be used comparatively, the use of reports generated on the same date should be emphasized. Ever bureau has their unique scoring system for arriving at a credit score. The best approach to making a comparison is to request for a report that has been calculated using a certain scoring system. This too cannot guarantee uniformity all the time because different bureaus store raw data and manipulate it differently. Ideally, all three bureaus should receive credit updates at the same time but while some lenders will report to all three, others report to one or two. The delay of information reported at different times may cause good credit score numbers to appear as bad and vice versa. The same case applies when there is missing information that could have altered a credit score to read a certain way. Errors happen all the time and especially in mathematical computations. 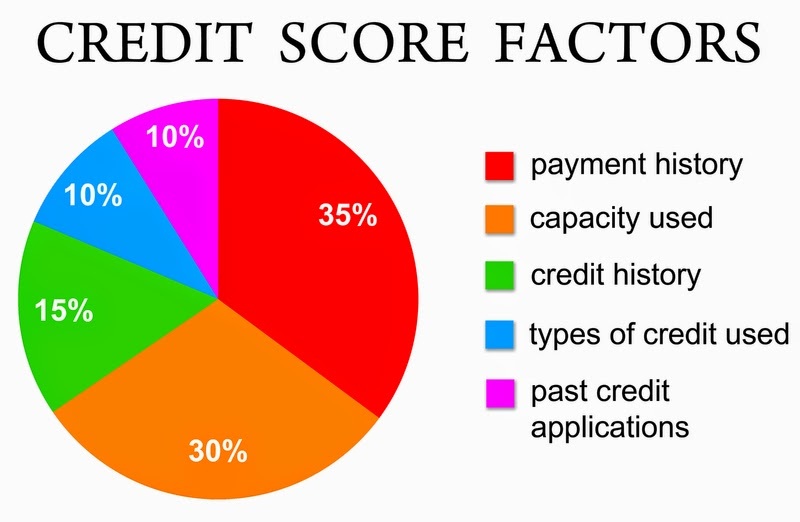 It is also likely that your score variation between credit bureaus could be due to an error. To spot an error, the borrower has to go through the entries in the report to cross check against their credit history and activity. The Australian financial market right now features close to a dozen companies that are licensed to provide credit scores. This means that even if all of them received accurate information on a borrower, the above factors would still lead them to have different scores for the same account. With such great discrepancies evidently characterizing the system, the only way is to consider not a single number but a range. So, what is a good credit score range? There are no good credit score numbers because most lenders have tailor made their credit facilities to suit every range. To stay in business and safeguards their revenue stream credit reporting agencies will usually position their scoring system as the most predictive. The reality is that a credit score is arrived at using the same data and guidelines and it is up to the borrower to choose which report to stick to according to the requirements of their lender. While the different scoring agencies might come up with different good credit score numbers based on the same parameters and formulas, the general agreement is that that a high figure is an indication of what is a good credit score range. Consumers should be aware that even though the credit scores indicate the financial health of a certain individual or company, they are a measure of different scenarios. These scenarios change all the time and when they do, the score either goes up or down. Sticking to a single system might seem limiting, but it is the best way to pick up trends to uphold maintain good credit score numbers. 1. The cash you need will be in your hands the soonest possible time. If you are on emergency and you need cash the soonest possible time, collateral loan is considered the most ideal loan type for you. The application method is quicker than the other sorts of loans. 2. The loan system may be less difficult. Some collateral lending firms are more easygoing when it comes to loan processes associated with this kind of loan. They do not typically ask for countless paperwork and more important, they care less in case you have poor credit score. The explanation for this is that you will already trust your valuable possession to them. 3. The rate of your loan getting approved is very high. Lending firms prefer collateral loans. Their ventures are safe here because it is a secure loan. Hence, you are most likely to get loan approval if you submit an application for this type of loan. Even if you go delinquent on your monthly payment, they still have your property to sell so they can collect the total amount you owe them. In case the price of the car, land, house and others suffer from depreciation, you will have to settle the difference or present them another asset as collateral. So it’s still a win-win situation for them. 4. You are more motivated to pay your dues. You know your investment is at stake. You will do everything not to go delinquent your payment dues. You will exhaust all the possible means to pay even if you will have an urgent situation and you run out of cash. Your mindset will not be like that if it is not collateral loan that you have applied for. But because it is, you are highly motivated to go by your payment schedule. 5. You will think carefully before you apply for one. You’ll definitely lose your hard-earned house and lot, car, jewelries and others if you opt to pick among loans with collateral and you do not have any thought how you will pay your monthly amortization. Therefore, you will think real hard prior to making a choice to borrow. On this process, you are then teaching yourself on how to become a sensible borrower. However, select the organization where you will submit an application for loans with collateral. Ask around (your relatives, friends and acquaintances) to find out which one supplies the most reasonable quote (appraisal) and the lowest interest rates. Likewise, determine which firm is the friendliest to clients. This means, you also have to seek out a loan firm in your area that sympathizes with the disadvantaged and not acting as the so-called loan sharks. For sure, you can find a trustworthy one in your area. Cash flow is the monetary movement in and out of a business, in form of receiving and expenditure of money in a certain project or a business deal. In other words, cash flow defines the money left after the subtracting amount given out as payments from the amount that is to be received after successful completion of a project. Cash flow finance, also known as cash-flow loan is the debt given by some financiers, depending on the value of expected cash flows of the borrower company. Here no collateral is needed from the company for approving the loan. The repayment period also depends on the schedules of that company’s projected cash flows shown to be in future. Cash flow enables a company to meet all its expenses and pay its bills, for completing a special project. So this type of loan maintains and also improves the cash flow of the company. The loan agreement depends on the sufficient growth of the levels of income before paying interests, taxes, regularly paying off the debt, and depreciation of the value of the loan. These loan financiers also look whether the interest level is manageable by the borrower company. 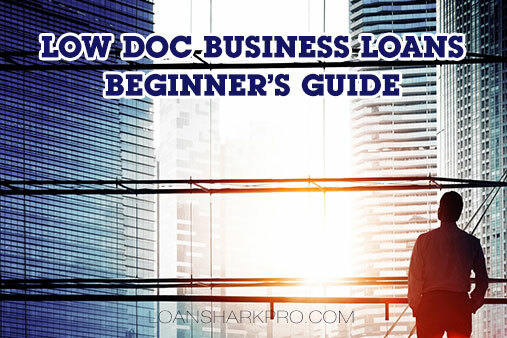 No doc business loans may be of various maturity durations, from 3 months to 3 years, depending on the purpose of taking each loan, but generally these short term loans are taken for maximum up to 6 months of duration. The loan amount can vary from $10,000 to $1,00,000, given out for good business reasons. This loan is mainly taken by the companies to fund their projects or make some important purchases for their business purpose. The financier is given a part of the money received by the borrower company, at the end of their project or sales. An agreement is duly signed by both the parties in this regard. Therefore the companies can use this borrowed capital to keep their usual cash flow, in spite of meeting the extra expenses of a project or a sales order. This Low doc business loans is a temporary solution to the regular financial expense problems, raised due to a sudden business demand; but if the problem continues for a long time, then it is better to find a permanent solution to this persistent economic problem by improvement of their cash conversion cycle and asking their regular customers to pay them faster. The cash flow of a company should always be monitored very carefully through the cash-flow statement, which is a mandatory report to be maintained by all companies and checked by all investors and financiers by giving any financial support to these companies. Any financier will check the financial background of the borrower company and its cash flow record and the track record of earlier debt payments, before the short term loan sanction to that company. Generally the banks do not ask for any collateral, if the business owner’s personal credit record is good enough to approve the loan. But other financiers may ask for security like a property or any assets, depending on the value of which they can lend the capital amount. This short term loan has higher interest rates, though fixed, than the longer term ones; still it is better to ask for short terms as total interests cost much less. When you’re in debt, it can feel like you never make any progress. The interest adds up, the bills come in and the money never seems to be enough. In this situation, the best thing that you can do for yourself and your finances is to get a handle on your debt and pay it off as quickly as possible. If you’re struggling with a large debt such as a mortgage or a student loan, it may be possible to refinance to take advantage of low interest rates. When your debt has a lower interest rate, you end up paying less in interest over time. Depending on the term you refinance over, your monthly required payment may even go down and give you some extra breathing room every month. However, refinancing often comes with fees and closing costs, so it’s important to make sure that the money you save in interest is worth the cost of the process. Credit card companies often attempt to lure in new customers by offering 0% financing for transfers from other cards. The promotional periods are generally short, but during that time, you pay no interest on your balance. That means that any money you pay towards your debt will go directly towards your principal. By using this hack, you can quickly knock down your debt while saving a lot of money each month in interest costs. Using a balance transfer card can be dangerous. If you are not disciplined and you take on more debt, you will be in an even worse position than when you started. If you don’t want to muck around with refinancing and moving debt around, the best way to put yourself in a better position to pay off debt quickly is to simply make more money. How you go about making more money really depends on your specific set of skills and interests. Seasonal jobs are a great way to make some extra money temporarily. For example, most retail stores hire extra staff during the busy seasons. If that is too much commitment for you, perhaps gigs like mystery shopping, freelance writing or odd labor jobs would be a better fit. The key though, is to throw any extra money towards your debt. All these extra payments go directly towards your principal, bringing you that much closer to debt freedom.